You’re Dead to Us. We Hope You Fail. 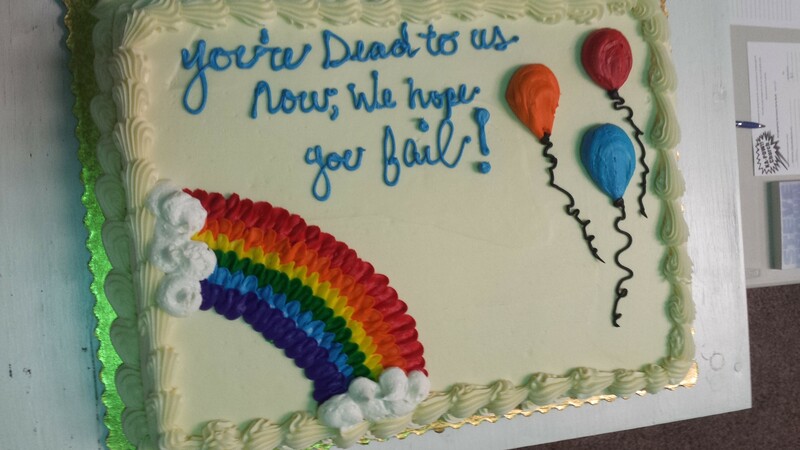 That’s what was written on the cake at our going away party. I love it! As we’re closing down the Myrtle Beach location of Kapow Church and moving everything to Chattanooga TN, we held the last two church events. On Saturday we had a going away party at my office for our family and then Sunday was our official last service here. If you were at either event, I trust you enjoyed one or both. If you weren’t, why not, you wankers? I wanted to take this opportunity to thank a few people who helped out at the party. We held a silent auction of sorts to raise a little bit of money for our church plant in Chattanooga. Our ministry there will be so decentralized, low key, nontraditional, and weird that not a lot of funding is needed to get started. We made enough from the auction to get things rolling pretty good. So, here’s my list of hearty thank you’s. If I missed anyone, please feel free to add yourself or them into the comments. When next you hear from me, it’ll be from our new headquarters in the Volunteer State. Keep your eyes and ears open. I promise the next step for us will be weird and magnificent. God is truly taking us to some interesting places. Closing Out 2014…A Year of Getting By or Going Big? I wanted to give everyone a quick update on what the church accomplished in 2014. I’m really proud of my gang. It’s amazing what we’ve been able to do with such a small crew. 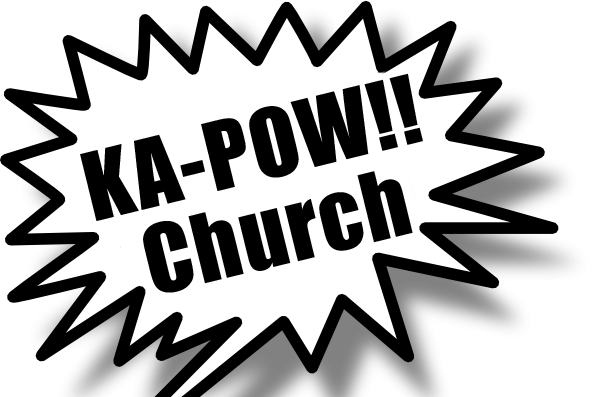 We changed the name of our worship community from The Pilgrimage to Kapow Church. For our December offering we raised just over a $1000 for Dream Daycare in Rwanda. They’re a ministry supported by Africa New Life Ministries. Check out their video HERE. We hosted church services again at X-Con, a pop culture convention in Myrtle Beach SC. Operation Christmas Child was a huge success again this year, as we were able to pack and ship 50 boxes, which was another increase over the previous year. Check out our Facebook page for the photos! 2 in 2010- Our first year that our family did it. 4 in 2011- Still just my family. 29 from a church of 150 in 2011. I was Asst. Pastor at Parkway Community Baptist Church in Myrtle Beach. As you can see, there wasn’t a huge buy-in from this group. 15 in 2012- The first year our church sent boxes. We stopped doing services on Sunday morning and moved to Sunday nights. Attendance doubled. 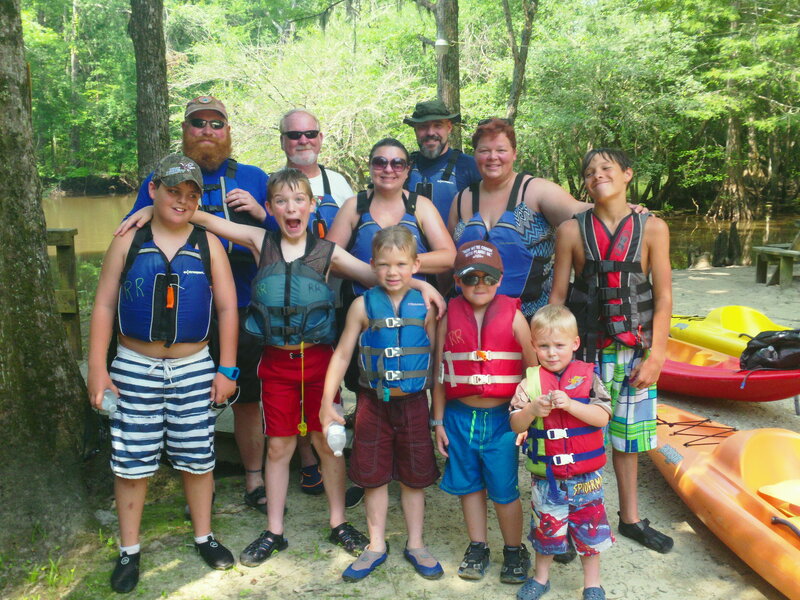 For Father’s Day we took a group of our folks kayaking and managed to return them all home. We hosted a Charity:Water birthday party that helped build a water system in Rwanda. 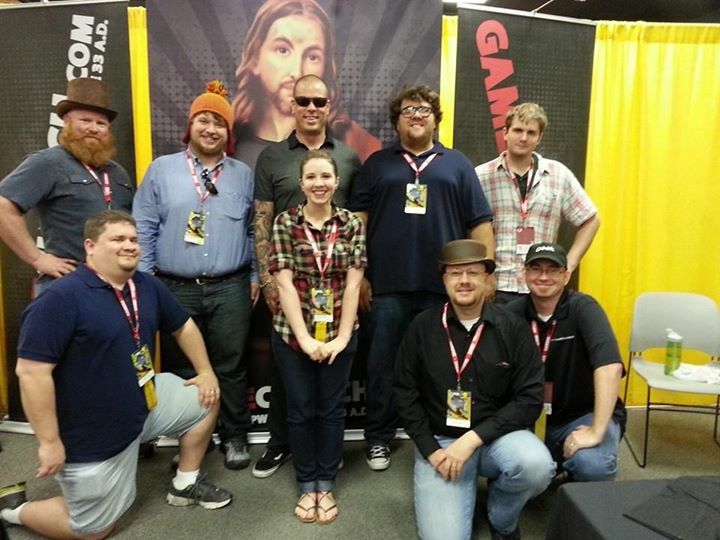 One of our members attended DragonCon in Atlanta GA with GameChurch. 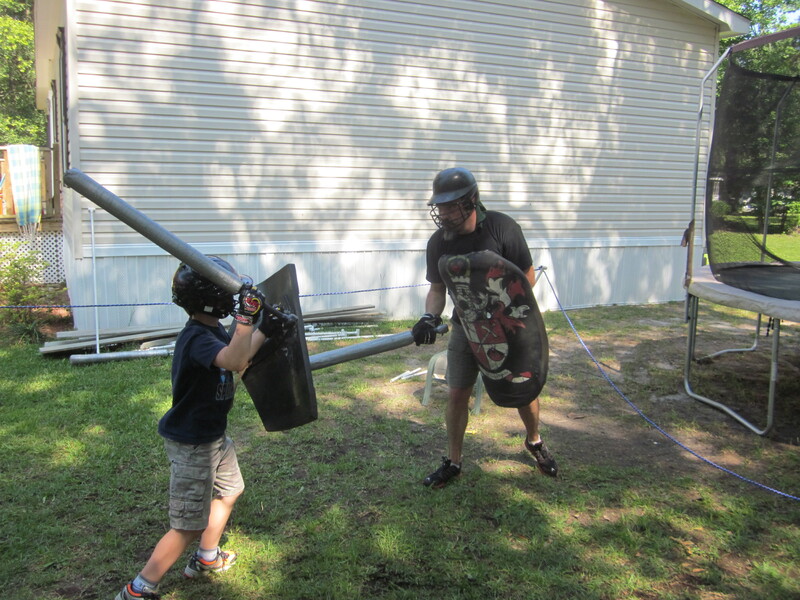 We started a monthly Fight Night to build camaraderie and take out some stress on each other. Let’s see what our 5th year as a church holds for us! How many of you men reading this went through a formal rite of passage ceremony? How many of you women reading this wish your man had gone though one? It’s something modern culture has all but forgotten. In the old days, young boys would fight lions, go on a vision quest, sit before the tribal elders, or perform a task. Not so much anymore. 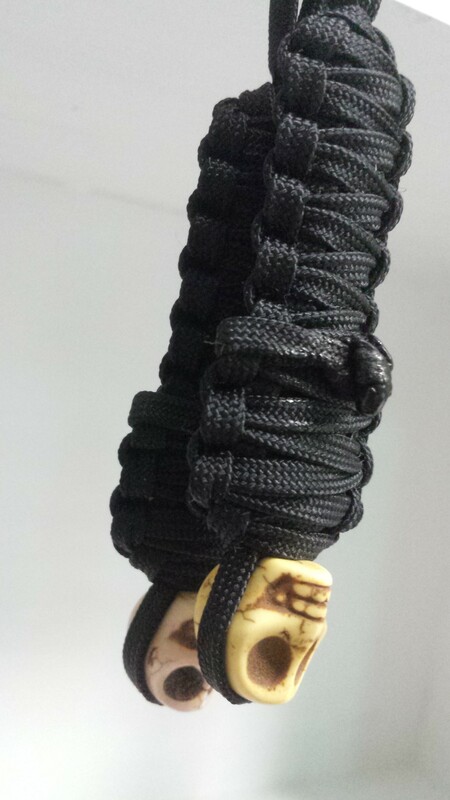 The closest thing I ever had to a rite of passage was Marine Corps boot camp, but it just wasn’t the same thing. I want to fix this for the men and boys in our church. They say you can change the world in a single generation. I’m going to try. I think you should too. We’re starting a new series at Kapow Church on the proper passage of boys into men. Come and join us.